Vince & ME is a dog friendly bar in Altona. It’s all about burgers, brunch and booze, 7 days a week! And of course great coffee! 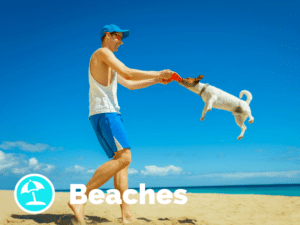 Take you dog with you or visit Vince & ME after a swim at the near by Altona Dog Beach! There are two dog friendly outdoor sections in this dog friendly pub in Alexandria. First is the small area out back which is just under shade cloth and the second is the bistro area which is under a Vergola remote controlled roof so they’re technically outside but the roof shuts when the weather changes. They just aren’t allowed in the main bar/gaming areas(anywhere with carpet basically). 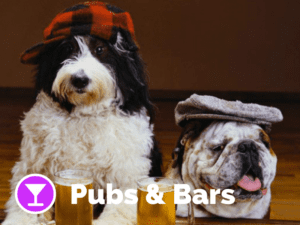 Your local dog friendly pub / tap-house, big-hearted with a thirst for excellence. Dogs are welcome to join you inside the tap house. 7th Day Brewery in Brookvale, makes one of the best crafted brews on the Northern Beaches, one small batch at a time. 7th Day Brewery is about celebrating a hard week’s work with a well-crafted local beer and a few mates. And if hunger hits you while enjoying the amazing brews, order a pizza from the next door award winning Sale Pepe. One Drop Brewing is a brand new dog friendly pub / micro brewery. 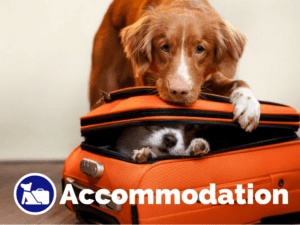 Dogs are also allowed everywhere inside where they have access to water bowls. Go check it out – they also have some wicked beers to try for the fur parents! A dog-friendly bar in the backyard of Despana, Great Pinchos (famous Spanish finger food) & great cocktails, wines & beer. Bring along your dogs! Enter via Campbell Lane. Think Peggy Gugenheim in the 50s, in a Palazzo on the Venetian Grand Canal. Curly Twurly Wurly furniture for propping and preening upon, unbuttoned Chesterfields for your dalmatian. All other pooches are also welcome to join your for a drink during the day everywhere in this unique Melbourne venue. Nights tempt to get too busy so better leave pooches at home! Madame Brussels is located at the Level 3 on 59-63 Bourke St. 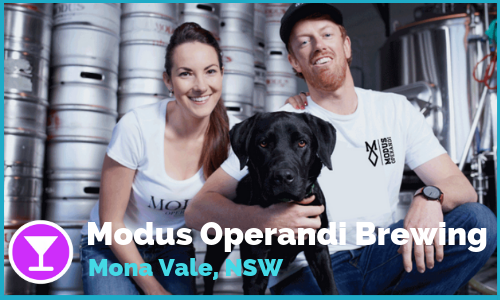 This relaxed dog friendly pub / brewery offers twelve rotating taps which often includes the core range, seasonal beers as well as special guest beers hand picked by the brewmasters! Dogs are welcome to join you on the outside seating area as long as they are kept on lead. Bookings are not essential but you are advised to call ahead for any groups larger than 8. Ocean Reach Brewing has been creating 100% independent, hand crafted beers on Phillip Island since December 2016. The emphasis is all about good quality, tasty beer. Dog friendly pub, The Federal welcomes dogs on their outside area. The tables usually have large umbrellas to provide shade for two and four legged visitors. Water bowls are readily available. Dogs are welcome in this cool japanese biker-inspired South Yarra establishment. Pups are offered water on arrival and the entire venue is undercover so pups are definitely out of the elements. “We love our fury babies here at the Fox” Dog friendly bar, The Fox, welcomes pups in their court yard and our roof top deck. Both areas have shade and roofs when needed. Water bowls on both levels. Both levels are heated and very cosy in the winter months too. Dogs are welcome across all outdoor areas in the dog friendly Union Club in Fitzroy. All outdoor areas are partly or fully covered. Fresh water is always available. Amber is one of the first dog friendly pubs inside and out in Hawthorn. They even had a bar cat. Naturally water bowls are also available. Business is changing ownership though… let’s hope this doesn’t mean changes in their dog policy. Dogs are welcome to join you for a refreshment after a walk at the dog friendly Aviary Hotel in Abbotsford. Outside area is covered so no matter if it shines or rains, you’ll be both covered! Senors is a dog friendly tapas bar in Torguay. Dogs are welcome to join you in the partly covered outdoor area for a drink and some tasty tapas. Dogs are welcome in the outside area protected from the sun and rain in this dog friendly Port Lonsdale bar. Fresh water is provided to the visiting pups. 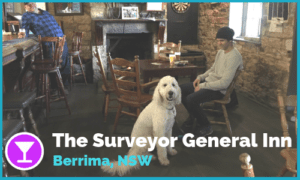 Dogs are allowed outside with plenty of umbrellas to offer cover from rain and sun in this South Melbourne dog friendly pub! “Being dog friendly pub is just part of being a local pub” Dogs are welcome outside area with plenty of cover, rain or shine! There are plenty of water bowls and staff are always happy to fill them up. In addition Edinburgh Castle runs an informal Dog of the Month competition. Photos are taken during the month and one will be chosen to be Dog of the Month in the monthly newsletter. Bonehead Brewing is a dog friendly brewery in Kensington. Dogs are allowed inside the tap room where there are a few water bowls available. The pub is relaxed and industrial, with high timber tables and stools, and concrete walls. Enter through the roller door and you’ll see the stainless-steel brewhouse out back. There is cool artwork behind the bar adding to the crafty vibes. Bonehead doesn’t have their own kitchen but encourages you to bring takeaway with you from the neighbouring places. Dog friendly bar right behind the Central Station. Dogs are welcome at the outdoor area overlooking the river. 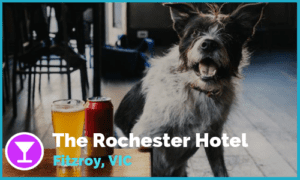 Dog Friendly Cafe / Bar in the heart of the iconic Federation Square! Dog friendly brewery in Forrest. 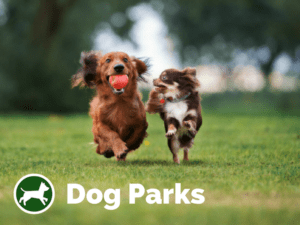 Dogs are allowed in the undercover outdoor area to join for a local pint with you!